Born in 1894 in Silesia, Germany, Lothar Richter was the son of a German barrister. Richter studied classics as well as philosophy, Lutheran ideology, political science, and law, achieving Doctorates in the latter two subjects. After notable scholarly accomplishments, he became a civil servant in the Reich Department of Labour in Berlin in 1920. While there he helped draft the new Poor Law and worked on laws surrounding workmen's compensation, health, and employment. In 1933 he and his wife Johanna moved to England with their young son. Richter held a temporary position at Leeds through the help of the Archbishop of Canterbury. After several written exchanges, the President of Dalhousie, Carleton Stanley, hired Lothar Richter in 1934 as a Professor of German, with a grant from the Carnegie Corporation funding his salary. He was well received on his arrival in Canada, delivering lectures that included German literature and political science. Richter passed away in 1948 in a traffic accident, leaving behind his wife, Johanna, and their son, Eckhart. 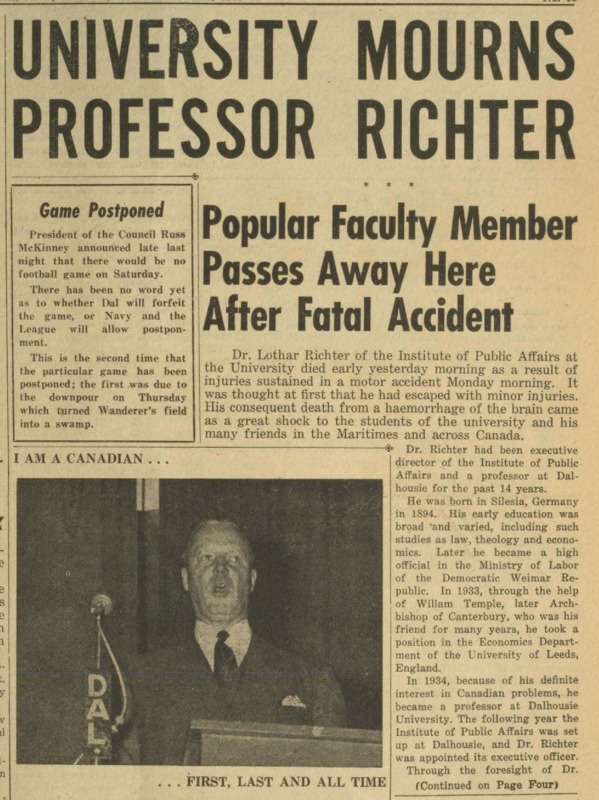 Richter is best remembered for founding the Institute of Public Affairs in 1936. Johanna Richter taught several of his German courses so he could devote his time to the Institute. 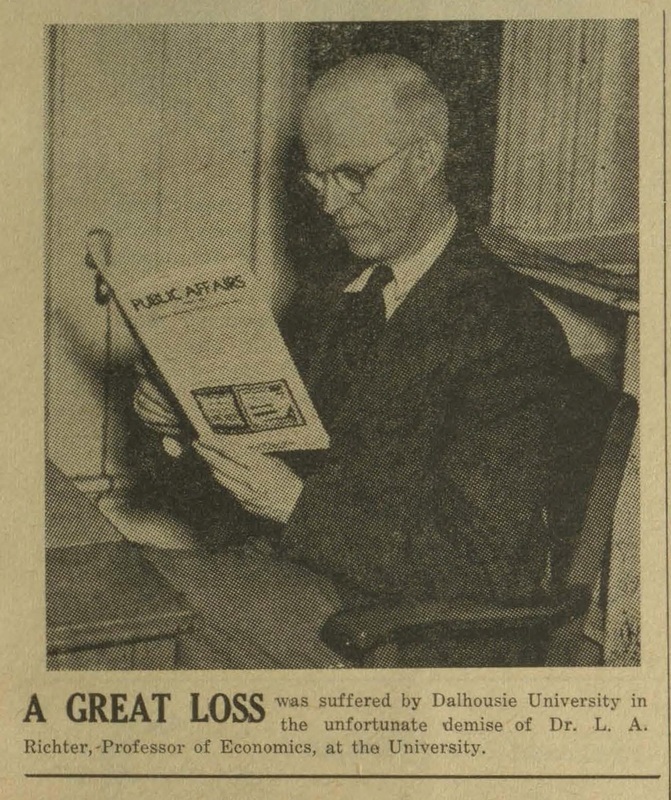 Lothar Richter was also behind the creation in 1937 of Public Affairs, Dalhousie’s second quarterly publication.